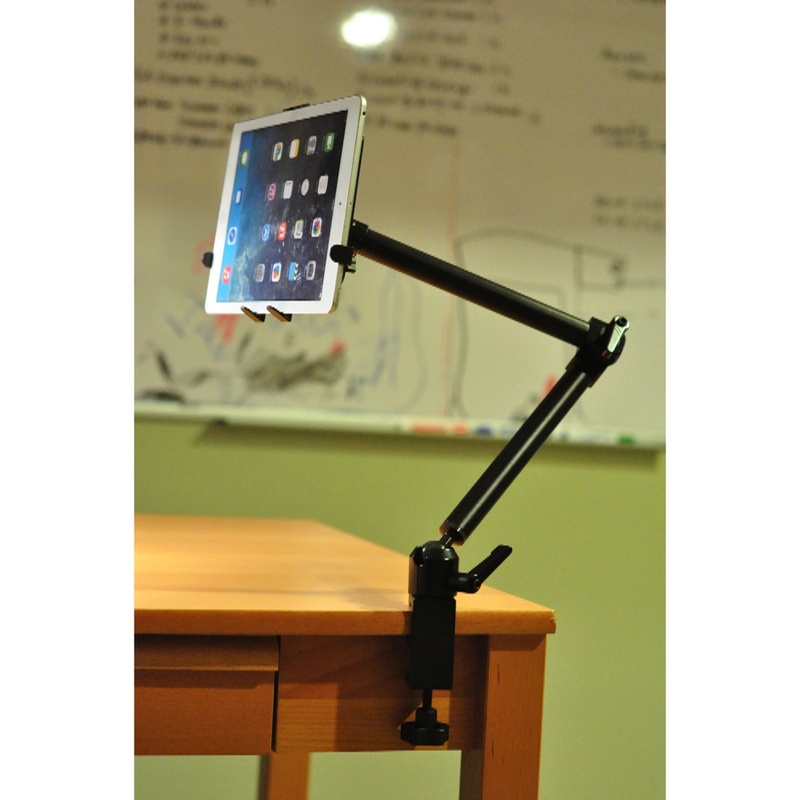 MCLM12 Aluminum Desk & Pole Clamp Mount Stand Holder 360° Degree Rotation Heavy Duty for iPad, iPad Mini & Universal Tablet 7" to 12"
MCLM12 is a premium quality aluminum tablet desk and pole clamp holder with arms which allow for 360 degree swiveling. 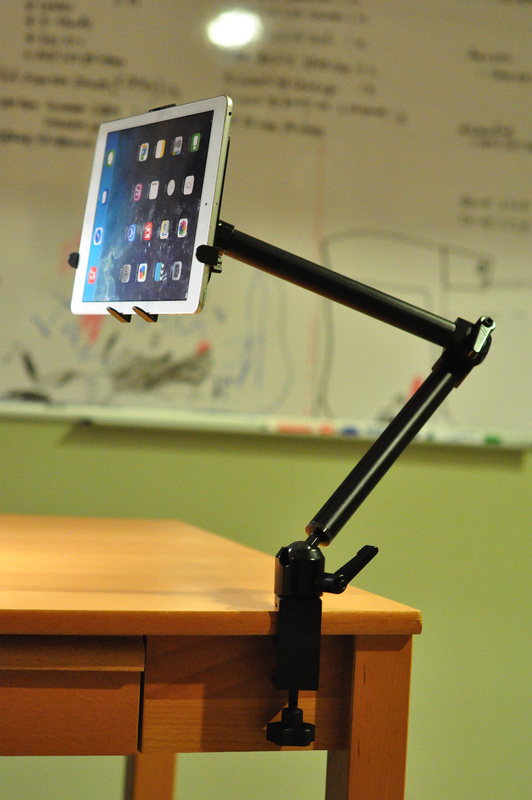 MCLM12 is made of heavy duty aluminum well constructed desk and pole clamp to hold your ipad or other tablet in solid position for team presentations, meetings, classes and more. It allows for 360 degree rotation for various angles. Aluminum desk mount and holder with 360 degree rotation for multiple angles and viewing positions for near-infinite angle adjustment. Super sturdy, heavy duty with stylish and well constructed designed. Easy to mount to flat surface, like table and desk; as well as round surface, like pole. Swivel arm and advanced pivot for maximum flexibility. 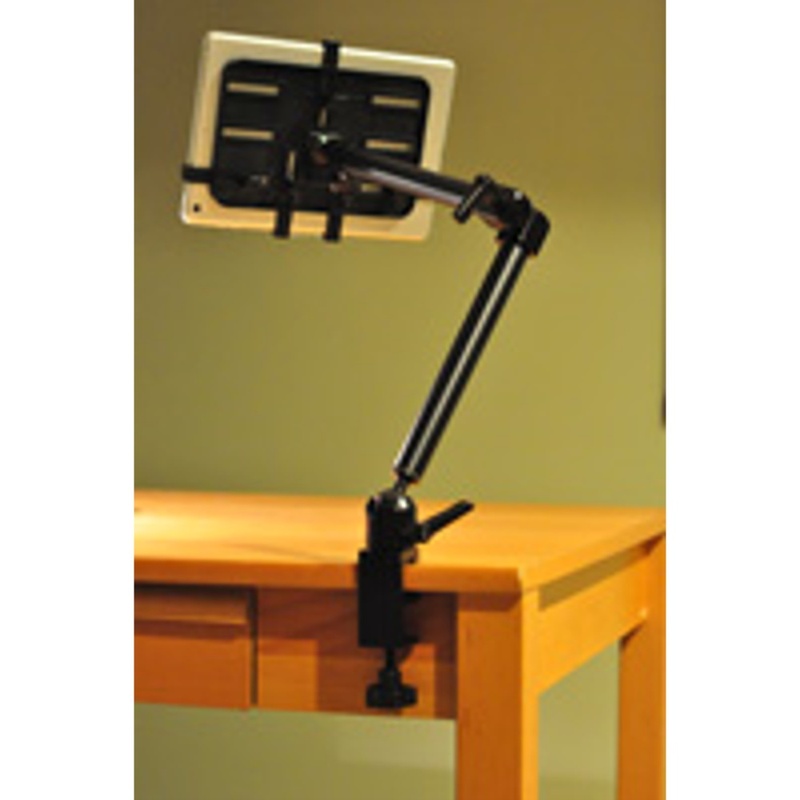 Support all iPad, iPad mini devices and all other 7" to 12" tables, as long as the tablet's measurement is in between 191mm and 272mm for one side, and other side is in between 110mm and 190mm.